The Emalahleni Water Reclamation Plant, located in the Witbank coalfields of South Africa’s Mpumalanga province, is the first and only Acid Mine Drainage (AMD) to potable water treatment plant in the world. The ACD process is designed by Aveng. The desalination plant treats acidic, saline mine waters to a South African National Standard (SANS) 0241 Class 0 potable water. Due to limited water resources, the Emalalheni Water Reclamation Plant plays an important role in meeting the area’s increasing water demand and environmental challenges. The plant’s three-stage membrane process treats AMD waters from coal mining operations. 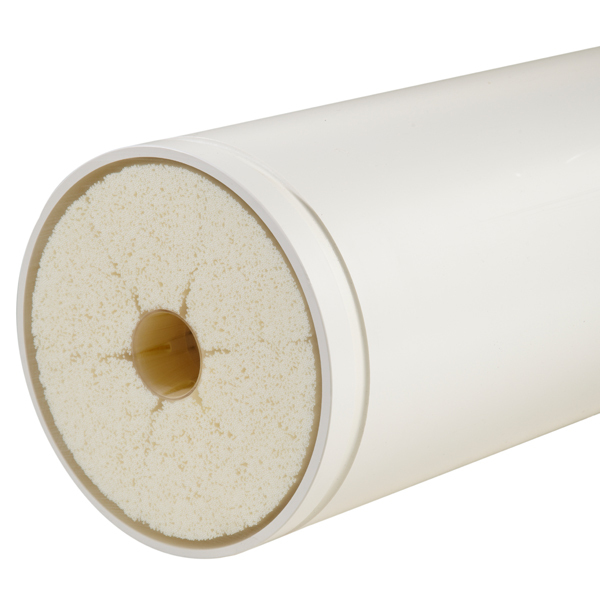 Multiple ultrafiltration and reverse osmosis membrane systems operate in a series, which offers water recovery rates of > 97 precent. First, a combination of two CSIR processes, namely the limestone/lime neutralization and gypsum crystallization processes, are used as pretreatment, followed by green sand filters to remove residual manganese. After this treatment step, the water is processed through X-Flow’s Aquaflex ultrafiltration (UF) membrane modules to remove any microorganisms and suspended solids. 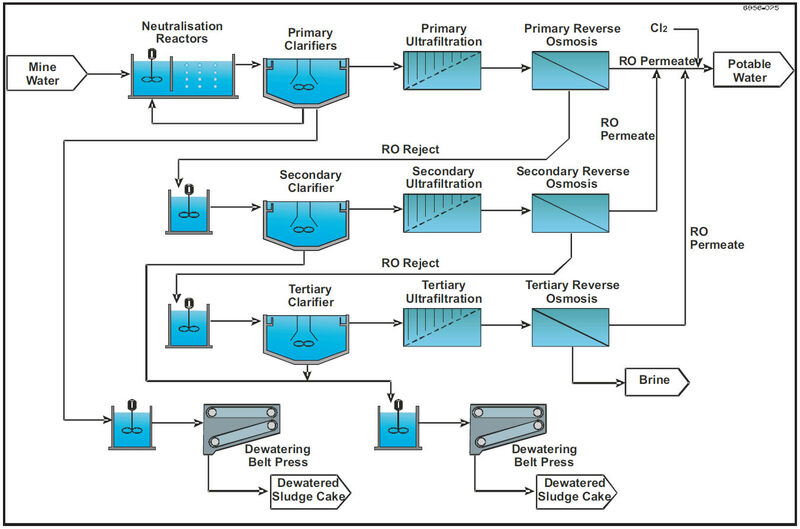 The final processing step is performed using reverse osmosis (RO) membranes. The brine (dissolved salts removed from the RO membranes), which is highly oversaturated in gypsum salts, is treated with lime to remove the oversaturation. This last cycle is performed a total of three times to increase the water recovery, maximize the solids removal and minimize the volume of brine. From 2013 onwards, a total of more than 1.000 Aquaflex UF modules will positively influence all vital aspects of the RO system - ranging from a consistent quality of the RO feed water to a significantly smaller plant design, a better performance and a reduced CAPEX.